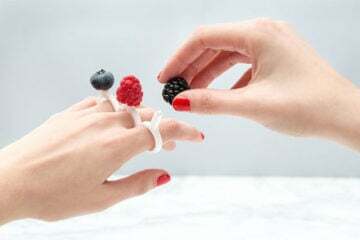 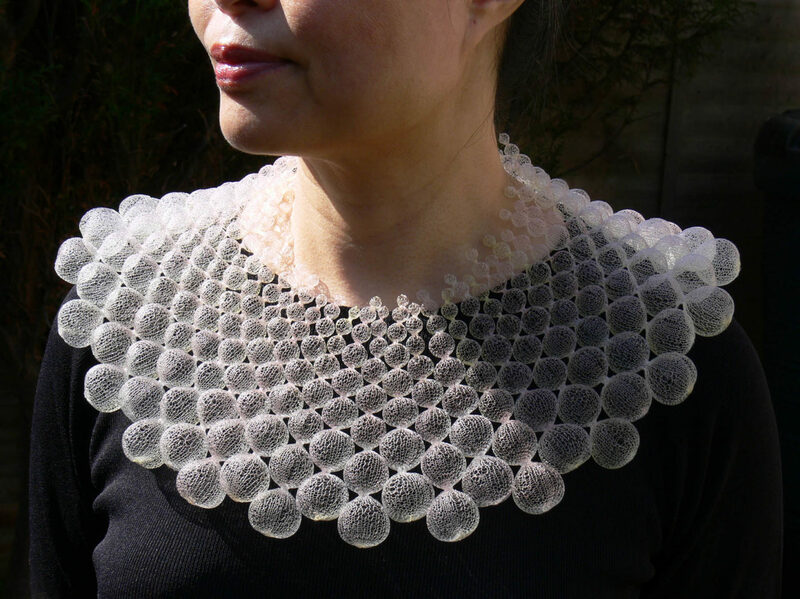 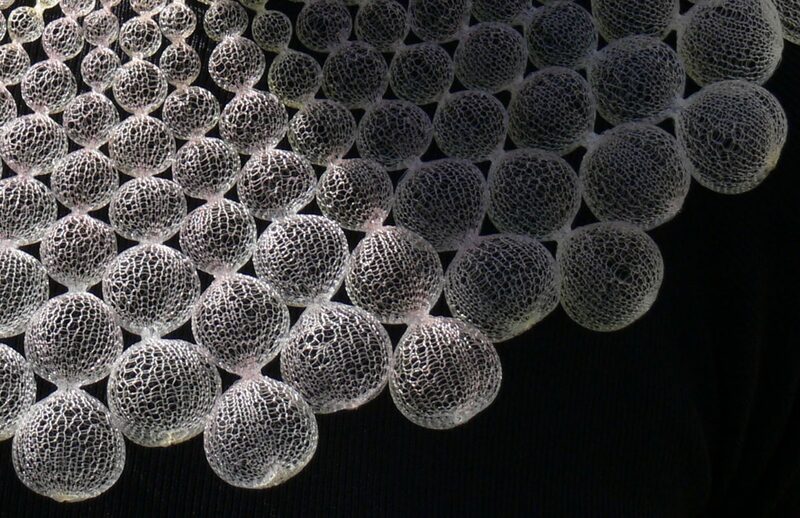 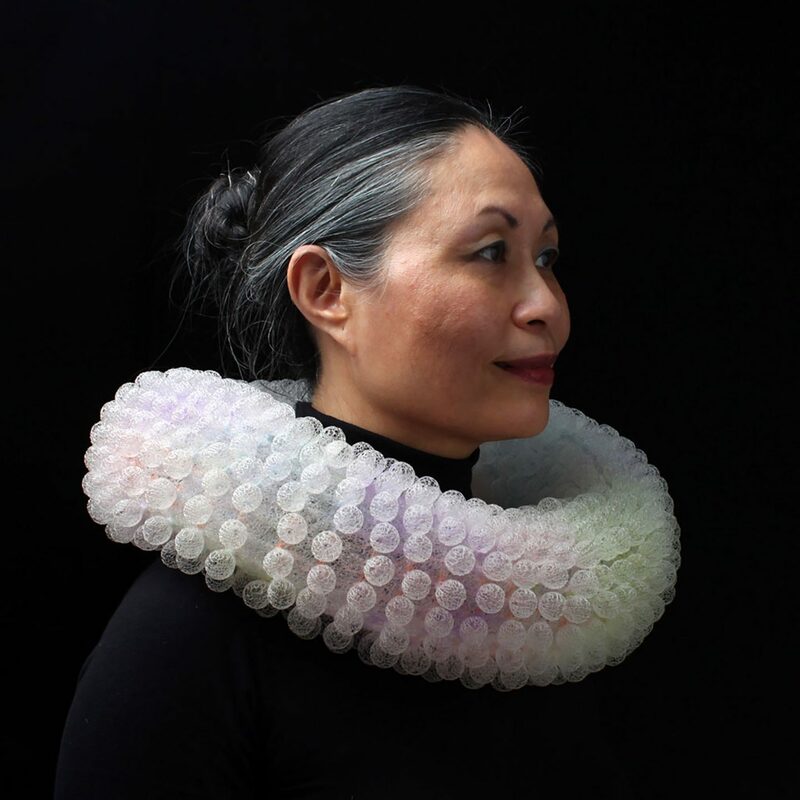 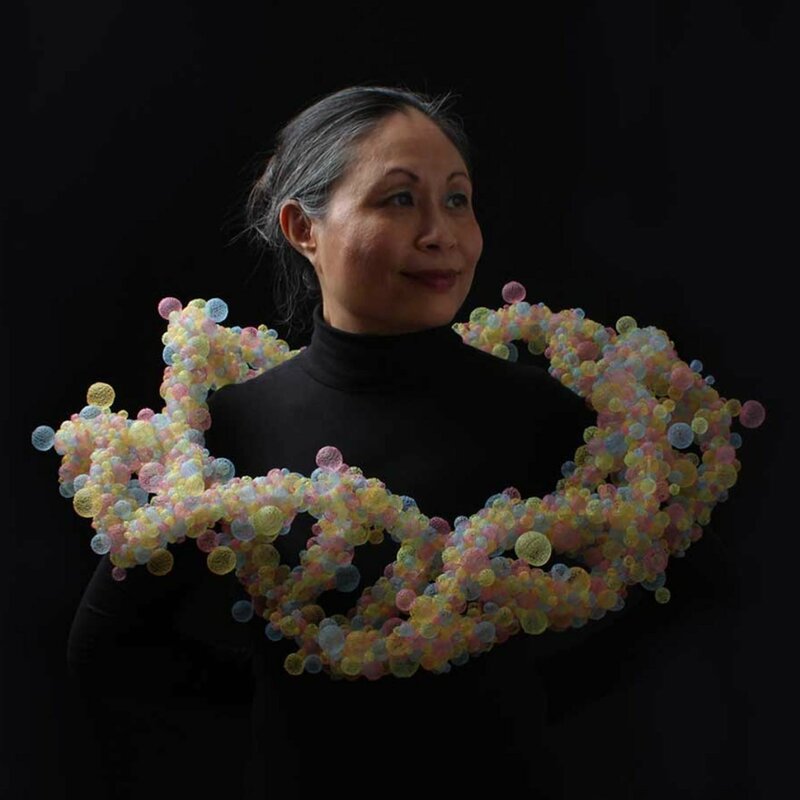 Drawing from the structures, systems and order of nature, Chinese artist Nora Fok designs sculptural jewelry pieces that she handcrafts from nylon microfilament. 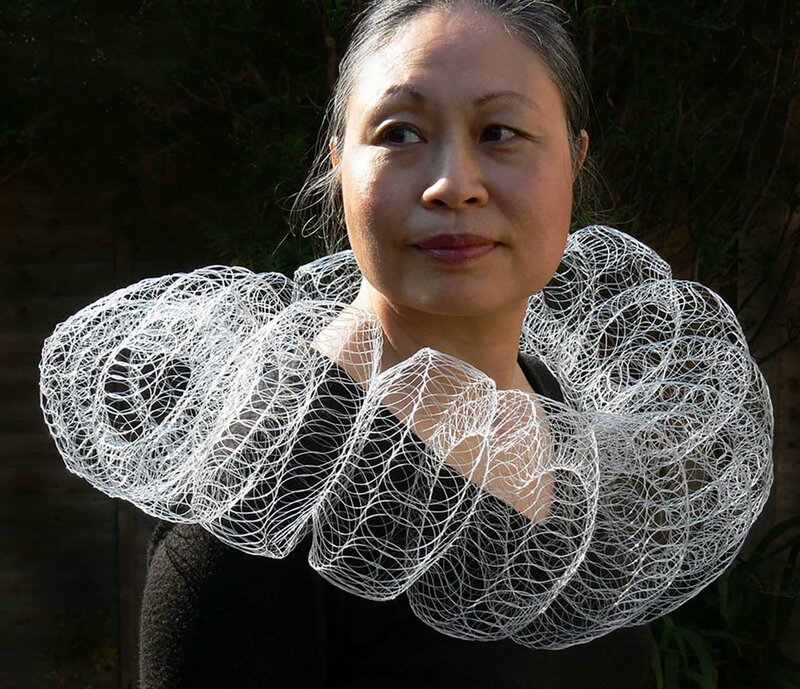 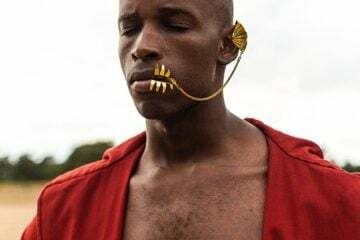 Working from her home in Hove, a town on the English coast, Nora meticulously crafts sculptural jewelry pieces using techniques like braiding, weaving and knitting. 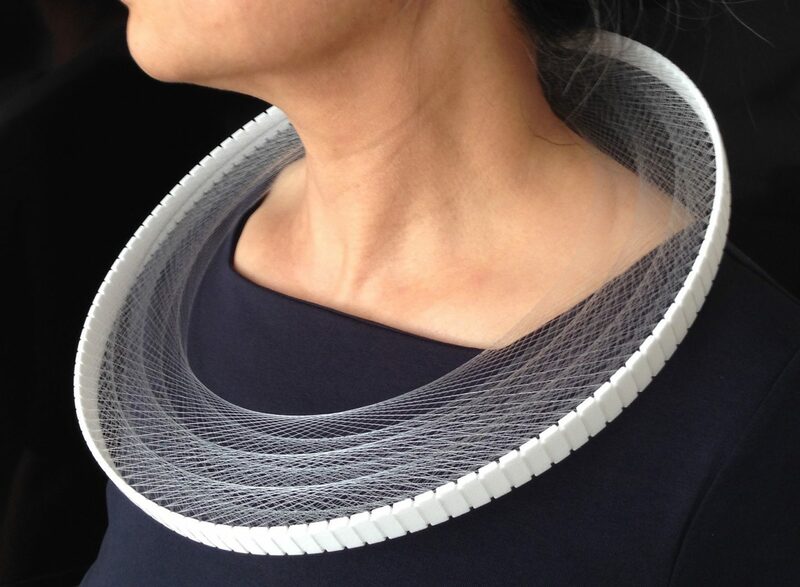 With a delightful delicacy, Nora reimagines ordinary materials, creating beautiful sculptures from the mundane. 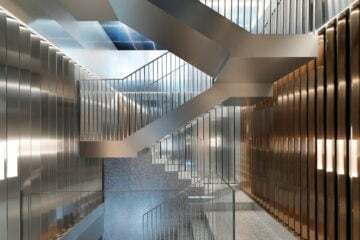 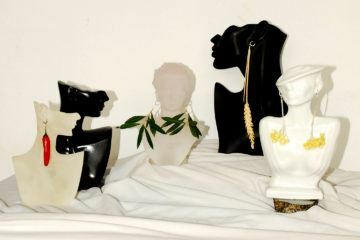 Intricately composed using only basic tools, Nora’s pieces can take weeks to produce, as such, all pieces are individual. 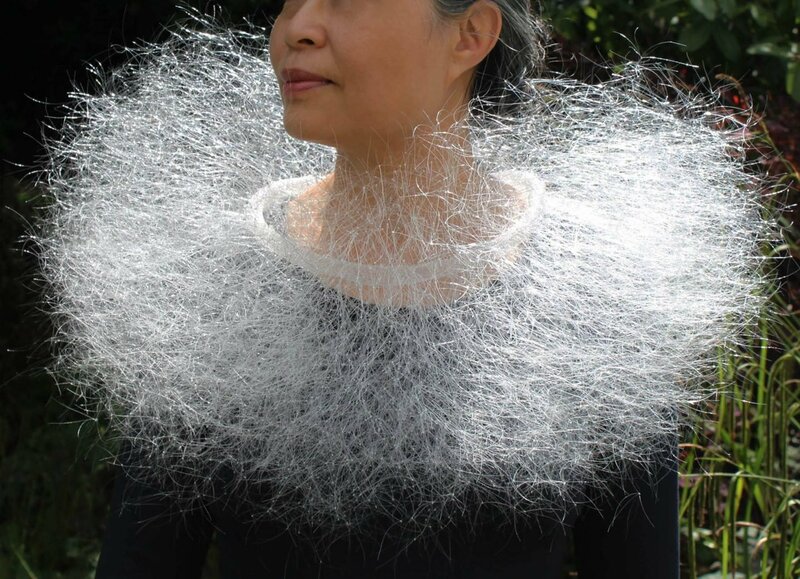 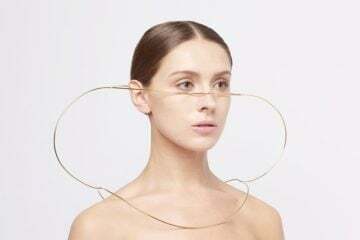 Although drawing from the biology of nature, Nora’s approach is less scientific and more personal: she takes organic forms from the earth and reworks them as wearable, sculptural art pieces.